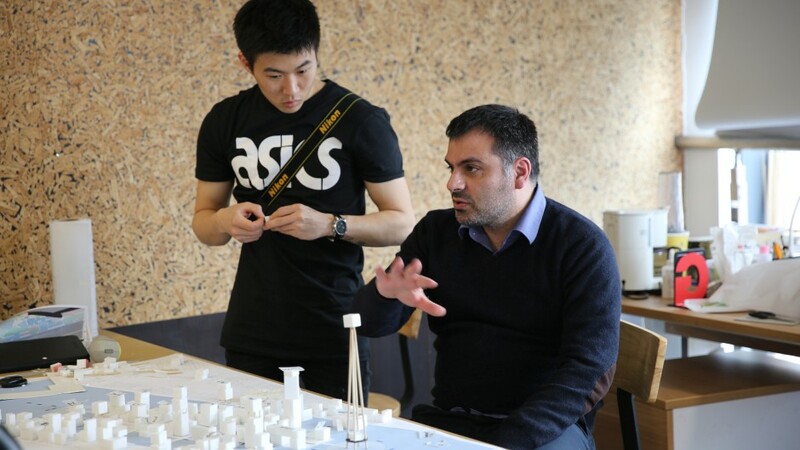 The Royal Institute of British Architects has confirmed the accreditation of the Master of Architectural Design programme of Xi’an Jiaotong-Liverpool University, validating its Department of Architecture as a full architectural school offering comprehensive training in the discipline. Founded in 2011, the Department of Architecture at XJTLU received international RIBA Part 1 validation for its BEng Architecture programme in 2015, a first for a mainland Chinese university. Following a visit by a RIBA board in November 2017 and the final decision of the RIBA Education Committee in February 2018, the Master of Architectural Design programme has now been unconditionally validated for international RIBA Part 2. The RIBA visiting board comprised of several architectural luminaries including: Professor David Dernie, Director of David Dernie Architects and Dean of the Faculty of Architecture and the Built Environment, University of Westminster, London; Lilly Kudic, Head of Architecture at London South Bank University; and Xiaofeng Zhu, founder of Scenicarchitecture and Visiting Professor at Tongji University School of Architecture & Urban Planning, Shanghai. The board commended in its official report the Department’s ‘extensive facilities’ (housed in the South Campus Design Building, the interiors of which were designed by the former Head of Department Professor Pierre-Alain Croset), ‘engaged staff and student body’, and ‘evident improvement in studio outputs over the three initial cohorts’ of students. It also recommended several action points or areas for improvement that programme director Christian Gänshirt is seeking to address: “One key aim is to build on previous exchanges and workshops to forge more and deeper connections with other international schools of architecture,” he said. “We’re also planning to step up student exchanges with our partner institution, the University of Liverpool, UK,” he said. For more information about the Department of Architecture at XJTLU visit its official webpage. The official WeChat channel of XJTLU's Department of Architecture publishes information in both English and Chinese on the educational programmes and on events. To receive these news, please scan the QR code using your WeChat application.